That is a difficult decision. 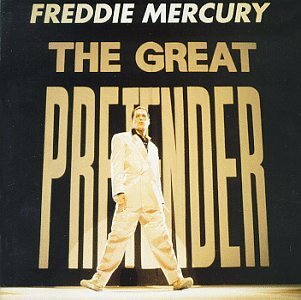 Without doubt a great Freddie Mercury against the charm of the original. An awesome song in two awesome versions. I think the version by The Platters is a little bit better. The platters' version is the first one I ever heard. Unlike most songs where the cover version can never match the original, because you're used to hearing the original, I have to make an exception here as Freddie Mercury's version packs energy and is full of emotions. Strong vocals used by Mercury further enhances this song. I like Freddie Mercury, rest his soul, there were some songs that only he could pull off - can anyone say Bohemian Rapsody? - but alas, this is not one that he stands head and shoulders above the Competition. Right now my best friend in England is plotting the number of ways to get back at me for such blasphemy against Queen, but sometimes the truth hurts. 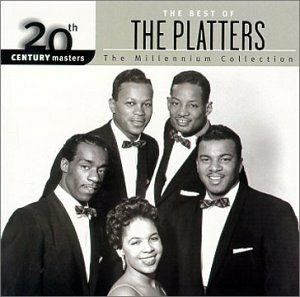 The Platter hands down on this one, more emotion and the sound is almost tactile in its emotion when the Platters sing it. Platters are better than Queen and Freddie Mercury. But that Wonderboy guy is an idiot. Elvis was better than all of the Platters and Queen out together. I liked both these songs but I have to saw that Freddie have a matchless charisma, even more then Michael Jackson, maybe more or equal to Elvis. So, my Vote is for Queen. I consider Tony Williams to be one of the greatest singers that ever graced this planet. He's got the voice of an angel and he sings with a distinctive style that easily touches people's hearts. The world should not forget him. Tony Williams is undoubtedly better! His voice has got more charm, and his style is flawless! I'm so happy to learn from Wonderboy that even Elvis the King wanted to be able to sing the last notes of "My Prayer", that immortal song which touches generations of Platters fans. growing up i was a big fan queen, along with a great drummer and guitarist they had rocks best vocalist in freddie.however, as i got more sophisticated in music i recognize tony williams as possibly the greatest singer EVER. all one would have to do is listen to ebb tide and smoke gets in your eye,what treasures . tony in a cake walk. rip tony and freddie ,they dont make them like that anymore.todays music is awful. OK, LET'S GET ONE THING STRAIGHT. TONY WILLIAMS WAS A SINGER. A GREAT SINGER. ONE OF THE BEST SINGERS OF ALL TIME. FREDDIE MERCURY, ON THE OTHER HAND, WAS A SHOWMAN. FREDDIE COULD SING, BUT HE WASN'T GREAT. NOT IN THE TRADITIONAL SENSE. CLOSE YOUR EYES. PRETEND YOU ARE BLIND. PRETEND YOU'VE NEVER SEEN QUEEN VIDEOS OR FREDDIE MERCURY FOR THAT MATTER. LISTEN WITH YOUR EARS TO BOTH. NOW, JUST SONICALLY SPEAKING, WHO'SE VOICE SOUNDS BETTER. FREDDIE MERCURY OR TONY WILLIAMS? I FEEL THERE IS NO COMPARISON. TONY WILLIAMS OF THR PLATTERS KNEW HOW TO SING. FREDDIE MERCURY WAS MORE OF A VISUAL PRESENTATION. TONY WINS HANDS DOWN. NO QUARTER. ELVIS PRESLEY'S GOAL IN LIFE WAS TO BE ABLE TO SING THE LAST NOTES OF "MY PRAYER." THAT'S A FACT. Freddie puts a real twist into this song, and sings it with much more passion and gusto. Well done. Yes, the world does miss Freddie. Sadly, I only got into Queen after he had already passed. Yet the magnitude of what the world lost passed over me until after I listened to "The Show Must Go On" for the first time, from Queen's last album Innuendo, one of the final tracks that Queen recorded, and I was immediately consumed with sadness over the loss. His singing on that track was so astounding, especially given the nature of his illness at the time of the recording. What a tragedy.